By discharging rainwater visibly and tangibly the municipality of West Maas & Waal wants to raise awareness of the route rainwater covers. 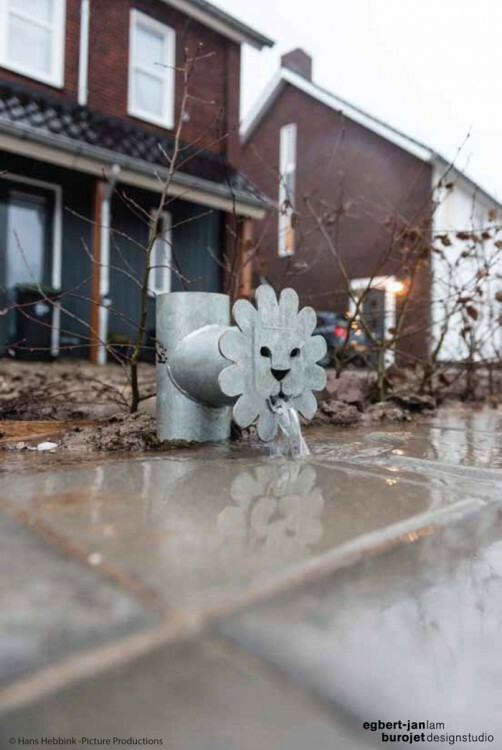 The design “leeuwse waterspuwer” or “Lion Gargoyle”, has become the visable defining feature in the disconnecting of the foul- and surface water sewage in the community. 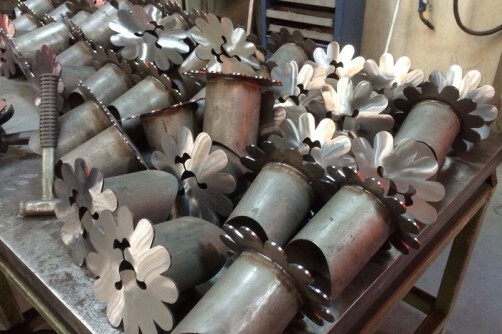 In a playfull manner, the lion gargoyle contributes to a more durable and energy sufficient watermanagement system. The first 50 lions gargoyles are installed at the plot boundaries, spilling their water onto the public pavement were it goes further through artificial rivers and ponds into the ground and to existing surface water systems.